What's not clear is the origin of these differences. Evolutionary psychologists contend that these are innate traits inherited from ancient hunters and gatherers. Another school of psychologists asserts that both sexes’ personalities have been shaped by traditional social roles, and that personality differences will shrink as women spend less time nurturing children and more time in jobs outside the home. Men are more likely to be devoted and loyal husbands when they lack a particular variant of a gene that influences brain activity, researchers announced this week — the first time that science has shown a direct link between a man's genes and his aptitude for monogamy. The finding is striking because it not only links the gene variant — which is present in two of every five men — with the risk of marital discord and divorce, but also appears to predict whether women involved with these men are likely to say their partners are emotionally close and available, or distant and disagreeable. The presence of the gene variant, or allele, also seems predictive of whether men get married or live with women without getting married. 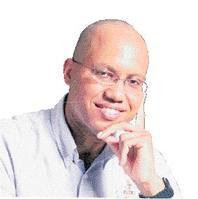 "I wish to propose a hypothesis that addresses not only the aspect of Jamaica's raw athletic talent, but also encompasses an explanation of seemingly diverse phenomena as our high incidence of prostate cancer (one study found it to be by far the highest in the world at 304 / 100,000 men / year), our high crime rate (murder capital of the world status earlier this year), our high road traffic accident and fatality rate, and our alleged high levels of promiscuity. Thomas Carlyle has ascribed the insights of genius to "cooperation with the tendency of the world."